HomeBlog November 2016 DIY These Top 50 Homemade Christmas Ornaments! DIY These Top 50 Homemade Christmas Ornaments! Make trimming the tree extra special this year with our top 50 DIY Christmas ornament ideas! Handmade ornaments are fun projects to make with friends and family or an ornament exchange and with these 50 ideas, you’re sure to find some holiday cheer! 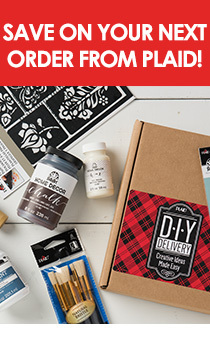 Read on for ideas and tag your creations #plaidcrafts to share with us on social! Want more crafty inspiration beyond these #OrnamentIdeas? Sign up for Plaid's email newsletter for more tips and education!